At least not in the traditional sense. When you restrict your calorie intake too much, your body senses you are going into starvation mode, so it responds by slowing down your metabolic rate in an effort to make the most of the food it is getting. Instead, eat more. “What, I’m trying to lose weight and you are telling me to eat more?” Yes, but you have do it right by eating the healthy types and amounts of food. To keep your metabolism operating at peak efficiency, and to burn as many calories you can, eat six small meals, or three larger meals with a snack each in the morning and afternoon per day, consisting of fresh fruits and vegetables, protein, lean meats and whole grains. 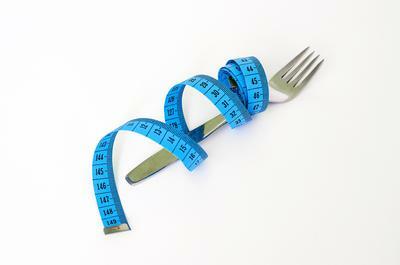 This “diet” has a lot of bulk and will keep you full, but is not loaded with saturated fat, sugar and calories. You’ve heard this before and it is still true – don’t skip breakfast. After sleeping all night, your metabolism is at its resting metabolism rate (RMR). It is working just hard enough to keep your body going. Unless you jump start it by giving it food to process within an hour of getting up, it will wake up slowly. The result is you could be missing out on several hours of increased fat-burning time. People who skip breakfast are 4 ½ times more likely to be obese. Want more proof? People who got 22 percent or more of their calories at breakfast gained on average 1.7 pounds over four years. Those that got only 11 percent or less of their calories at breakfast gained 3 pounds – almost twice as much - during the same amount of time. This the other half of the fat-burning duo – exercise. And there are a couple of parts to it. The first part is the effects of extended sitting. Researchers at Missouri University found that after sitting for 4 hours of more, your body reduces the amount of the enzyme responsible for burning fat and cholesterol. However, just standing up and moving about kicks it back in to high gear. If you have sit-down job, make sure you get up and move 5 minutes each hour. The second part is the type of exercise you and why it is important to your weight loss efforts. Cardio burns fat and the most calories, but usually just during the time you exercise; once you stop exercising, the calorie burn stops. However, strength training digs deeper and depletes the muscles of glycogen. So not only are you burning calories while exercising, but also afterward as your metabolism replenishes the energy source glycogen for your muscles. Plus strength training builds muscle so you’ll also have a higher RMR and burn more calories while at rest. Of course the ultimate fat-burning program is a mixture of both cardio and strength training. And you can add your comments or suggestions below in the Comments section... just click on the link to open up your submission box - Thanks!! !